As a Navy pilot you will have three distinct phases to your career. Believe it or not but out of the three this phase is the most important simply because if you're not successful here you have absolutely no chance of success later. This is the phase where you must show the Navy you have what it takes to not only earn a commission but to be successful in flight school. Competition for flight slots is fierce. 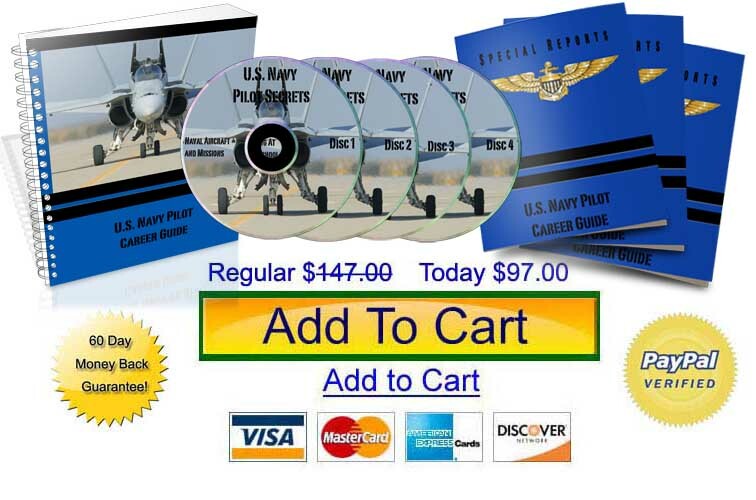 If you get one, you'll be ahead of the overwhelming majority of people who want to be Navy pilots. For most, this phase is the beginning and end to their navy pilot career goals. Once you get the opportunity to earn a commission you need to perform. Regardless of what commissioning source you choose perform to the best of your abilities each and every day. Only after you've successfully finished a commissioning program will you be ready for Phase II of your career. This phase starts at Naval Air Station Pensacola. Every Navy, Marine Corps and Coast Guard pilot gets their start at NAS Pensacola. Before you start flying you'll go through a six week ground school called API (Aviation Pre-Flight Indoctrination) where you'll study academics and learn water and land survival techniques. Academic subjects will be in aviation related areas such as aerodynamics, aviation physiology, metrology etc. The water survival portion of your training will encompass several training evolutions which include learning the survival strokes, drown proofing, swimming 1 mile in a flight suit, and riding the dunkers. In land survival you'll learn how to build shelters, find fresh water, make animal traps and snares, and other activities that will help in a survival situation. After API you'll head to one of three places. For the most part primary is held at two bases. NAS Whiting Field (about 20 minutes outside of Pensacola) and NAS Corpus Christi (in Corpus Christi Texas). Some students will go to Vance AFB in Oklahoma on an exchange program with the Air Force. When you finish primary, you'll select the type of aircraft you'll fly operationally in the fleet. Choices are jets, props, and helicopters. Selection is determined by class rank and the needs of the service. Usually first in class gets their choice and the rest of the class falls in line. If you select Jets you'll go to NAS Meridian (in Meridian Mississippi) or NAS Kingsville (in Kingsville Texas). If you select props you go to NAS Corpus Christi. If you select helicopters you'll go to NAS Whiting Field. Once you successfully complete advanced training and earned your wings you'll have completed your second phase of your pilot career. Now that you've earned your wings you are an official Naval Aviator. You're journey as a Student Naval Aviator is over but you still have a lot to learn. Your first stop will be a Fleet Replacement Squadron (FRS). At the FRS you'll learn to fly the aircraft you'll be flying operationally in the fleet. When you complete the FRS you'll head to your first "fleet" squadron where you'll deploy and deploy on Naval Aviation missions world wide. The Navy Pilot Career Guide can help you with all three phases of your career. We give you strategies and techniques that you can use to get a flight slot. We give you a rundown of the commissioning programs available and tell you the advantages and disadvantages of each. We tell you what traits the Navy is looking for in you...amd how to prove that you posess them. This guide gives you strategies, techniques, and tips that will help you once you get to flight school. The study techniques within the guide will help you study less and retain more information amd the flight preparation strategies will make you become a confident, capable, and skillful pilot. 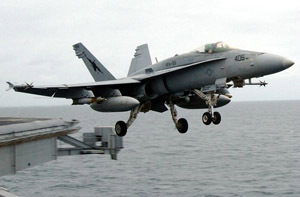 The information in this guide is invaluable to your Navy flying career. Make a small investment in yourself that will pay big dividends in your future career. Get your copy of theNavy Pilot Career Guide today.